Continuing to relate my experiences with Georgian wines, I'm now going to start providing reviews for some of the approximately 60 Georgian wines I tasted at the recent Boston Wine Expo. 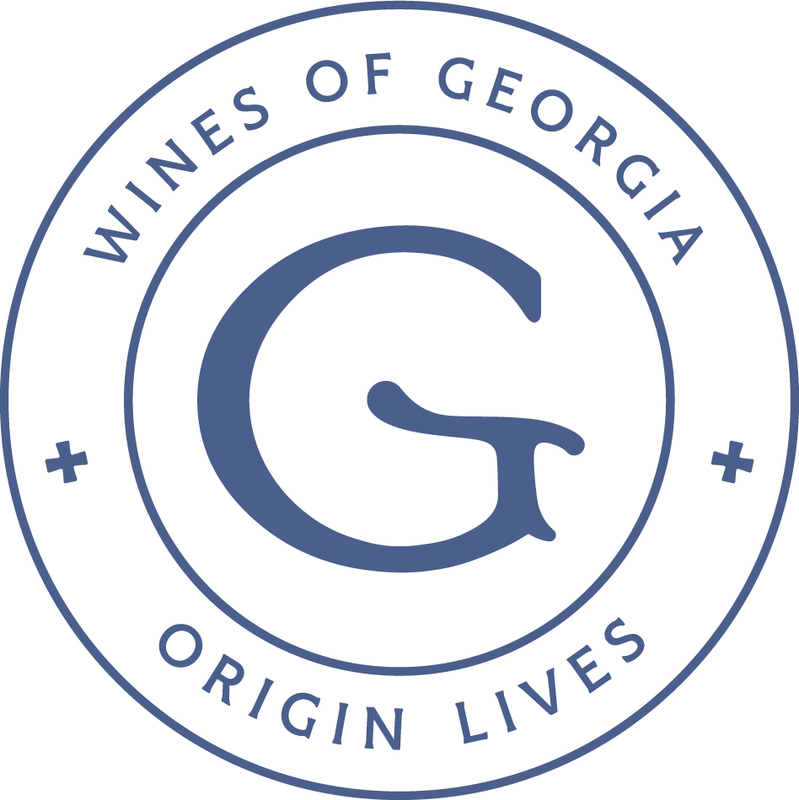 And I'm also going to provide more history and background on the region of Georgia and its wines, to give better context to these wines. Overall, I enjoyed many of the Georgian wines I tasted, especially those made with qvevri. Most of the white wines were made with the Rkatsiteli grape, though there were a significant number of whites made with Mtsvane and Kisi grapes too. As for red wines, nearly all of them were made from the Saperavi grape. Fortunately, I tasted a couple indigenous grapes which were new to me, such as Takveri and Shavkapito. There were a handful of Sparkling Wines and most of the producers had a Kindzmarauli wine to offer. Kindzmarauli, an appellation of origin located in the Kvareli region of Khaketi, produces a semi-sweet wine made from Saperavi. During the Expo, I passed on most of the Kindzmarauli, preferring to taste primarily the dry wines, but I should note that each producer seemed very proud of Kindzmarauli and wanted me to taste them. I'm sure I'll have another opportunity to widen my experiences with this wine type. I tasted plenty of delicious, easy-drinking wines, both whites and reds, which were also very good values considering their low price points. There were also some impressive, higher-end wines, which were complex and compelling, showing the potential of their indigenous grapes. These were definitely wines that would pair well with a wide variety of foods, and some of the wines would be perfectly fine on their own (though Georgians tend to only drink wine with food). I'm sure at least a few of these wines will end up on my year-end Top Ten Wine lists. I'm sorry that I didn't have the time to check out all of the Georgian wine producers at the Expo and I'm sure I missed out on some very good wines. Thus, the exclusion of those producers in my reviews should not be indicative that I didn't care for their wines. I just didn't have sufficient time to taste everything, especially with so many Georgian wine producers present at the Expo. If you got to taste wines from these omitted producers, I'd love to hear your thoughts on their wines. The country of Georgia is located in the Southern Caucasus, which forms the northern border of the country. The Caucasus Mountains, which span from the Black Sea to the Caspian Sea, form the border of Eastern Europe and Western Asia, and have the highest mountain in Europe, Mount Elbrus, which is over 2700 feet higher than Mont Blanc, the highest mountain in the Alps. The Likhi Range, which is part of the Caucasus Mountains, roughly divides the country in into an eastern and western half. In ancient times, the eastern section was known as Iberia while the western half was known as Colchis. To the ancient Greeks, the Caucasus mountains were the far edge of the world and the Romans agreed, considering it to be the end of all the earth. Herodotus wrote that the Caucasus was “the longest and loftiest of all mountain ranges” while Virgil wrote that “And they knew that they were come to Caucasus, at the end of all the earth: Caucasus the highest of all mountains, the father of the rivers of the East." Second, the city of Colchis, ruled by King Aeëtes, was supposed to be incredibly wealthy and the home of the legendary Golden Fleece. The hero Jason and the Argonauts sailed to Colchis, to obtain the Golden Fleece and eventually found it in a sacred grove. The King would only give the Fleece to Jason if he could perform three difficult tasks. Jason, aided by Medea, the king's daughter, completed all the tasks, including defeating the dragon which guarded the Fleece. Jason seized the Fleece and fled out of Colchis with Medea. Finally, Colchis is also alleged to be one of the possible homelands for the Amazons, a society of warrior women. The Artevani Winery, located in the village of Gremi in the Kakheti region, is a small, organic producer, and maybe the first organic Georgian producer to import into the U.S. through Interbalt Products Corp. Artevani is a family-owned winery, seeking to produce more natural wines, reflective of terroir, and combining ancient traditions with modern technology. They commonly use qvevri for fermentation and sometimes aging as well. This winery produced my #2 Top Favorite Wine of the Boston Wine Expo, their 2011 Artevani Qvevri Aged Rkatsiteli ($30-$35). The Rkatsiteli is from seventy-year old vines, and it is fermented in qvevri for about 24 days and then aged in qvevri for another 8-12 months. With a rich amber color, the wine presented with a fascinating aroma, an alluring mix of herbs, spices, and dried fruits. On the palate, I found a complex and intriguing melange of flavors and it was actually difficult to describe everything happening in my mouth. It was full bodied, with nice acidity, and a lengthy and satisfying finish. This is the type of wine you slowly savor, enjoying the new and surprising flavors you encounter with each sip. Highly recommended. The 2015 Artevani Saperavi ($24) was also an excellent wine, produced from an old recipe and which sees no oak. With a dark red color, it presented with a fruity aroma, and a rich palate of red fruits with a hint of earthiness. It was smooth, with low tannins, good acidity, and a lengthy, pleasing finish. A wine that would pair well with food, from pizza to burgers. The 2015 Artevani Kindamazruli Saperavi was said to be more medium-sweet, though I felt it was more mildly sweet, balanced by nice acidity, with plenty of ripe notes of red and black fruits. The Gozauri Winery, located in the micro-zone of Kindzmarauli in the Kakheti region, was founded in 2004 by winemaker Levan Japaridze. The winery derived its name from the gozauri, an ancient large clay vessel for wine storage. They were commonly used in the 18th century and Kakheti was where they were manufactured. Their 2015 Gozauri Saperavi, produced in a qvevri, was light bodied with bright cherry and strawberry flavors, accented by an earthy element and a hint of minerality. It possessed good acidity, low tannins and a moderately long and pleasing finish. 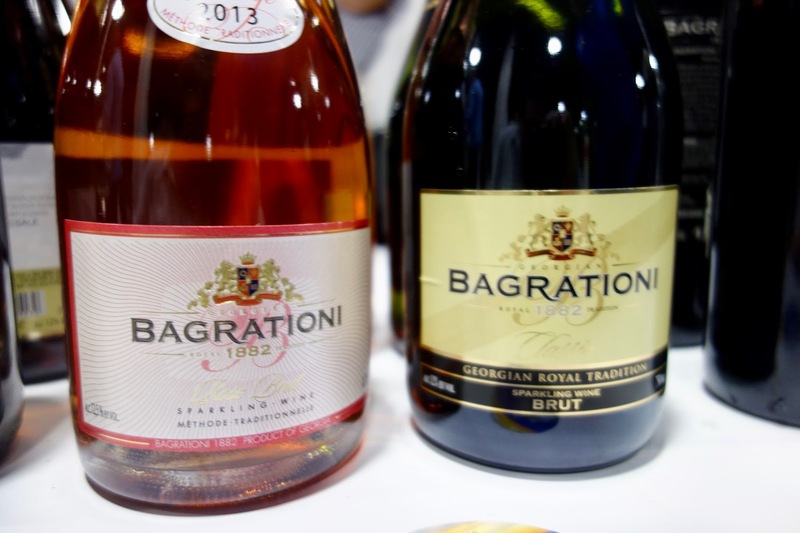 The Bagrationi 1882 winery, founded in 1937, extends back to the era of Georgian Prince Ivane Bagrationi-Mukhraneli, around 1882, who began producing sparkling wine using the classic bottle fermentation method. Currently, the winery produces sparkling wines in both the Methodé Champenoise and Method Charmat methods. 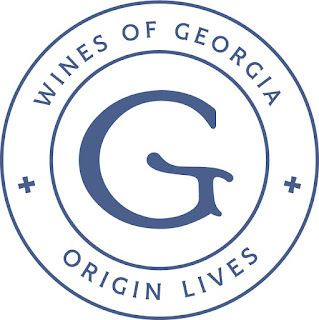 They are the primary producer in Georgia, occupying 80% of the domestic market. Their 200 hectares of vineyards are in the best winegrowing regions such as Kartli, Imereti and Kakheti. I first tasted and enjoyed a couple of their sparkling wines six years ago, and you can read my previous review. Vaziani Company, founded in 1982, owns about 120 hectares of vineyards and built a new winery in 2012 in Telavi, in the Kakheti region. They also purchase some grapes from local farmers. They use qvevri in the production of many, if not all, of their wines. The 2015 Makashvili Mtsvane, produced in qvevri, was a beautiful amber color with an intriguing aroma, and a compelling taste with plenty of herbal and spice notes, with citrus accents. More full bodied, with some mild tannins, and a pleasing finish. The 2015 Makashvili Kisi, also made in qvevri, was very aromatic, with intense herbal and floral notes, and had an intriguing taste with stone fruit flavors and a hint of almonds. Good acidity, a lengthy finish and quite delicious. The 2015 Makashvili Saperavi, also produced in qvevri, had an alluring nose of black fruit and spice, and on the palate, it was smooth, with restrained tannins, and a complex melange of flavors including black fruits, mild spice and an herbal accent. Delicious, with a lengthy finish, this would be an excellent accompaniment to a juicy steak. Highly recommended. Artevani will be available at Evercohol Wine Shop in HK soon!